So happy it’s Friday! The week has been a blur yet in a way, it’s gone really fast. My son is off from school for Spring Break now too — lucky for him. A few Friday Favorites for today before we begin the holiday weekend! 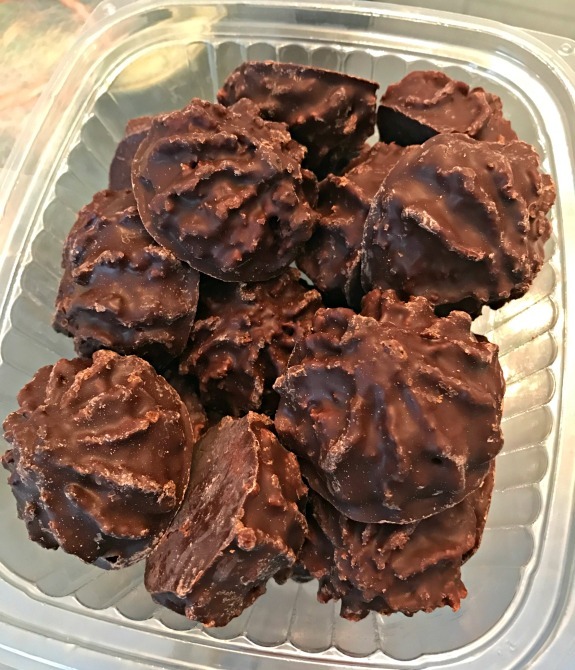 With Passover starting later today, I have chocolate covered macaroons on my mind. Can’t wait to have a chocolate-covered chocolate chip macaroon AND a chocolate-covered chocolate macaroon! Splendid is my brand of the moment for sure. I bought this Splendid hoodie (in the charcoal grey) last week and I’ve already worn it four times! Worth the price already. I love the way this zip up hoodie fits. They call it a shirttail hem but what I like about the fit is that it’s not boxy or big, it’s more fitted with a little bit of length to it. It’s nice to be able to put on a sweatshirt that still shows your shape and makes you feel like you are dressed rather than walking around frumpy, you know? I love this Splendid long camo hoodie too if you are looking to update your hoodie collection! Two favorite finds for today! First, Essie Secret Story is my new favorite Essie nail polish color for my toes. 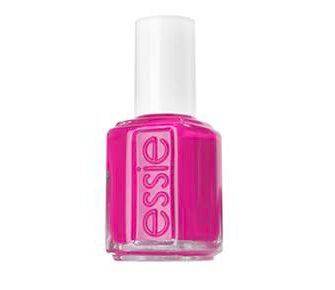 I love a pretty, deep pink on my toes and Essie’s Secret Story is about to be my PINK for summer. It looks so pretty on my feet right now so I think I will be choosing this color every time I get a pedicure! Obviously I do not celebrate Easter but my mom saw this cute Beauty Egg at L’Occitane filled with Cherry Blossom scented soaps and lotions and bought it for me. I love the smell from the Cherry Blossom scent – it’s not overpowering at all! Just a really good scent that makes me happy. And, my skin feels so soft from the soap! The Cherry Blossom Hand Cream is terrific too, I highly recommend it! Have a great weekend and a Happy Passover and/or Happy Easter! Are you cooking for the holidays this weekend? What are you making? Favorite type of Passover candy/dessert? Thinking Out Loud + Salad Pizza! I am tasked with bringing dessert for Easter which is probably the best thing to be in charge of! Now I just need to figure out what to make. I hope your neck is feeling better and you can run again soon! A chocolate covered macaroon…where can I get those?! They sound amazing! I’m in charge of a chocolate dessert for Easter so I plan on making a no bake chocolate cheesecake. I’ll probably make a little whipped cream as well to top it with. It sounds so good right now as I type lol. Happy Passover to you! Easter is one of my favorite holidays, so we are celebrating with quiche, cinnamon rolls, and champagne for brunch. Cadbury eggs are my favorite so of course we have those also! I hope you are able to run again this weekend. I love all things cherry blossom too. Also I think you need to reconsider a career as a personal shopper. Ha, thank you. I sometimes want my own personal shopper although I do consider branching out and offering personal shopping as a service. Maybe one day soon. 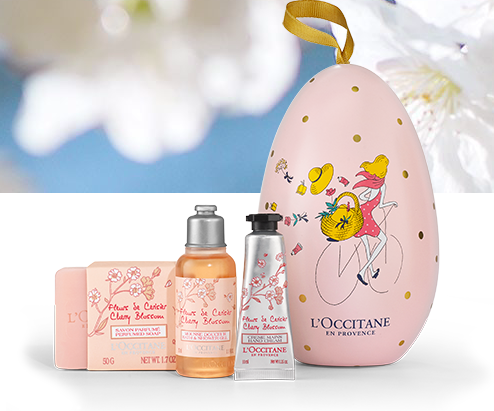 The L’Occitane beauty egg looks incredible and so unique! I haven’t noticed many other brands taking that much initiative with Easter themed releases!